6 regular and 6 specialty. Want to try for yourself? 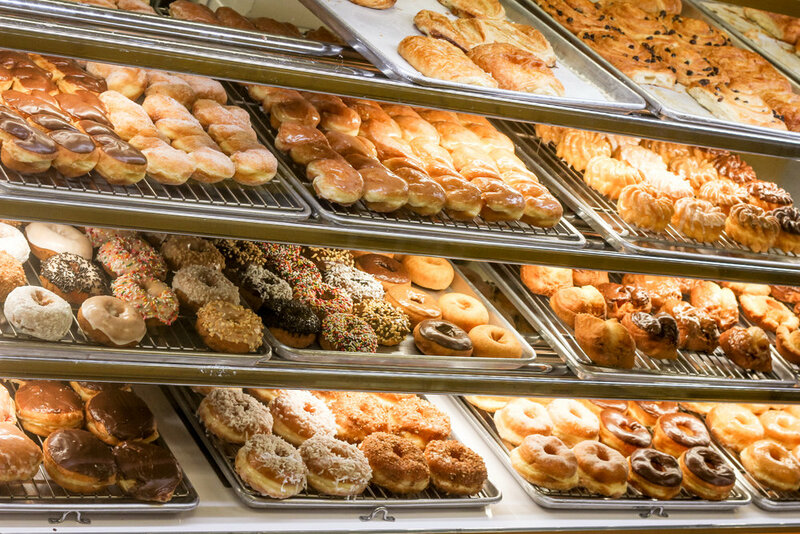 You can order donuts for delivery or pickup online and skip the line. Click HERE to start your order today! Add donuts to your special event! We cater events, simply contact us and we'll provide a quote. Please allow 24 hours notice for large orders! Our premium coffee has been greeting locals each morning for over 30 years, through careful selection of the best and most consistent brand. We proudly brew Gaviña, whose careful bean selection process, including using only perfectly sized coffee beans to ensure they're roasted evenly, is the key to our coffee's amazing flavor.